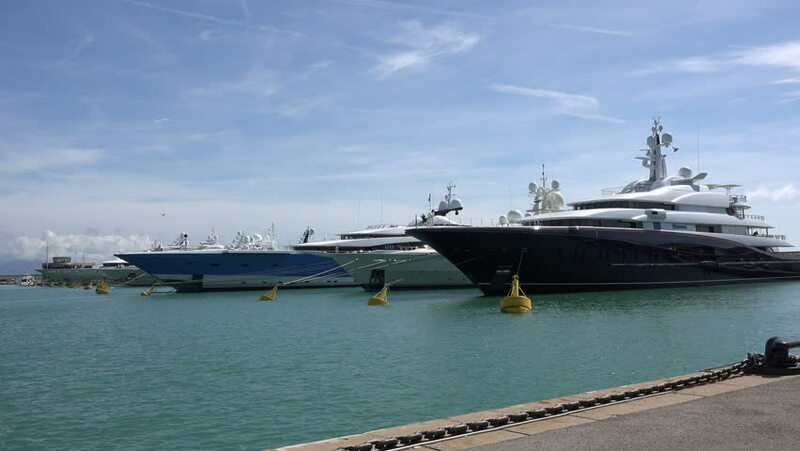 ANTIBES, ALPS MARITIMES/FRANCE - APRIL 29, 2015: Luxury super yachts moored in port. Port Vauban is the largest yachting harbour in Europe. hd00:12Traveling on white motorboat and magnificent sea scenery in Montenegro. hd00:16Moored Yachts on a windy day at a local yacht and sailing club.